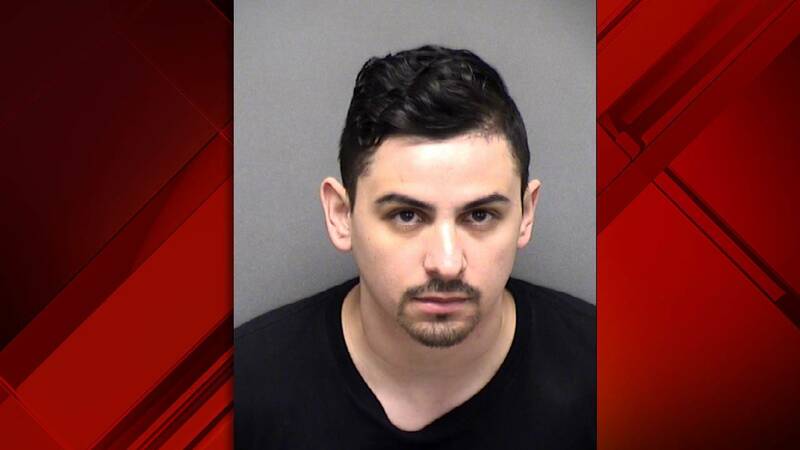 SAN ANTONIO - A Bexar County Sheriff's Office deputy once suspended in connection with a hazing incident was arrested late Sunday night on suspicion of driving while intoxicated, the Bexar County Sheriff's Office said Monday. Ryan Ferrell, 28, was off duty when he was arrested around 10:30 p.m. in the 4200 block of Interstate 10 West, near Vance Jackson Road. The Sheriff's Office said Monday Ferrell, a six-year veteran with the Sheriff's Office, is currently assigned to the detention division. Ferrell was first placed on paid administrative duty, but was served a notice of proposed termination hours later and placed on unpaid administrative leave, the Sheriff's Office said Monday afternoon. BCSO said that Ferrell's department-issued equipment will be confiscated. "A DWI in and of itself is bad enough, furthermore taken in totality with a pattern of misbehavior, makes a mockery of public trust," Sheriff Javier Salazar said in an emailed statement announcing Ferrell's proposed termination. "This will not be tolerated in the Bexar County Sheriff’s Office." The Sheriff's Office's Internal Affairs Department said it will also be conducting a separate investigation into the incident. "We continue to work proactively to prevent this pervasive issue through education and training. Nonetheless, as issues occur, we will take decisive action," Salazar said. "I personally terminated three employees last week for alcohol-related incidents, and will continue my strong stance on discipline and accountability." The Sheriff's Office identified the three others who were dismissed as Joseph Martinez, Adrian Parra and Vanessa Flores. Martinez and Parra were deputies and Flores was a dispatcher, the Sheriff's Office said. Ferrell previously had received a 30-day suspension for his role in a hazing incident captured in a Snapchat video, which showed a 4-year-old trying to use a department-issued stun gun on a deputy. The Bexar County District Attorney's Office said in March 2018 that it would not charge Ferrell or six other deputies for the hazing incident, citing insufficient evidence. The deputies were facing possible charges of child endangerment, unlawful restraint and hazing.